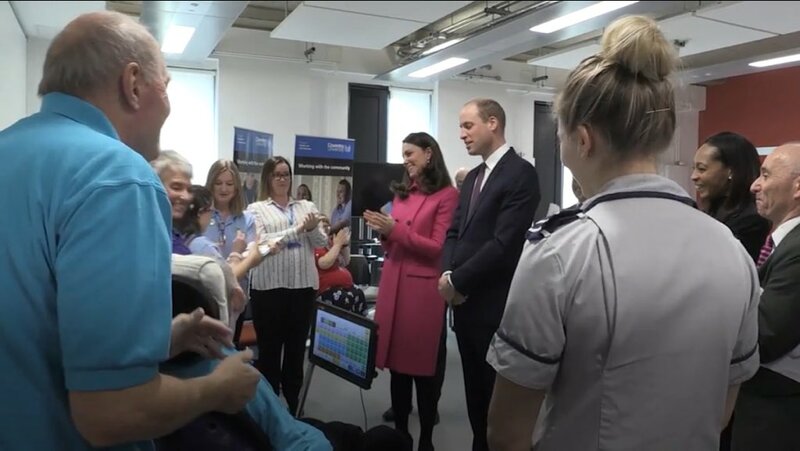 Students at Selly Oak Trust School working with Communicate 2U had a right royal treat this year, when they were invited to meet Prince William and Kate. The Duke and Duchess of Cambridge were in Coventry on 16th January to open the new £59 million Health and Life Sciences building at the University. Students at Selly Oak Trust School Sixth Form have the option of doing work experience with Communicate 2U. Communicate 2U is a company that teachers professionals – like doctors, nurses and social workers – how to communicate better. Communicate 2U teaches using ways that our students feel comfortable, like drama, song and small group work. This year, the University has opened a new building to teach its nurses and midwives. The building was opened by Prince William and Kate – or the ‘Duke and Duchess of Cambridge’ as they are called. Students with Communicate 2U were invited to meet William and Kate, to celebrate all of the hard work they have done at the University. 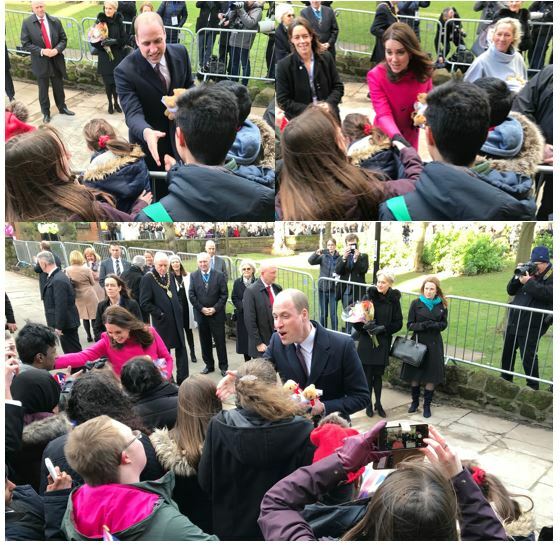 William and Kate even joined in with one of the songs written by our students – ‘Learn from Us’ or ‘the Wiggle Dance’ – and this was shown on the news and in newspapers across the country! We also managed to get into some of the newspapers, including The Evening Standard and The Daily Mail. Follow the links to view the articles. This was the beginning of an exciting year for students with Communicate 2U. Later this year, the team will be celebrating Autism Awareness Week with events at Selly Manor Museum and teaching staff at the Queen Elizabeth Hospital about communication. Well done team!